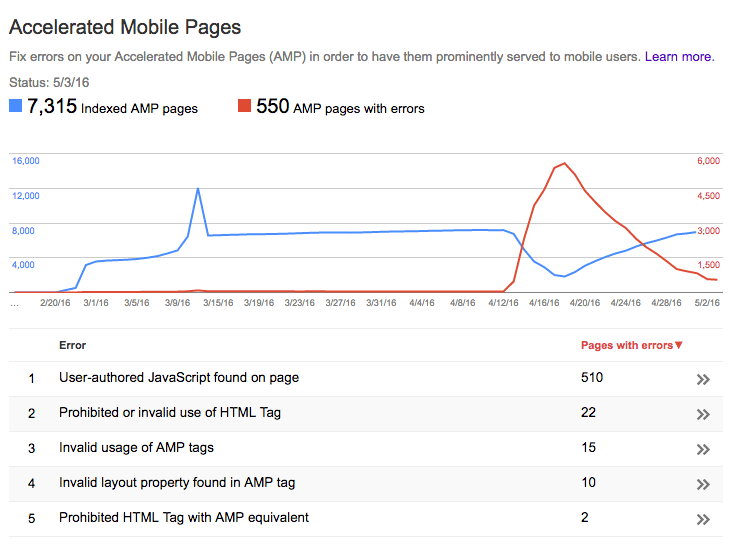 Google's John Mueller announced on Google+ that they've updated the AMP error report in the Google Search Console. John explained that they've "updated the categorization used there to better group similar issues, and to give you more information on the individual problems we discovered." The new report is aimed at giving webmasters better and more streamlined guidance on what errors to fix. John Mueller strongly recommends those who have implemented AMP to take a look at the new report, because you may find errors you didn't see with the old report. Here is a screen shot of my report from this site, and as you can see, we are recovering slowly with those error messages from our New Relic issue. 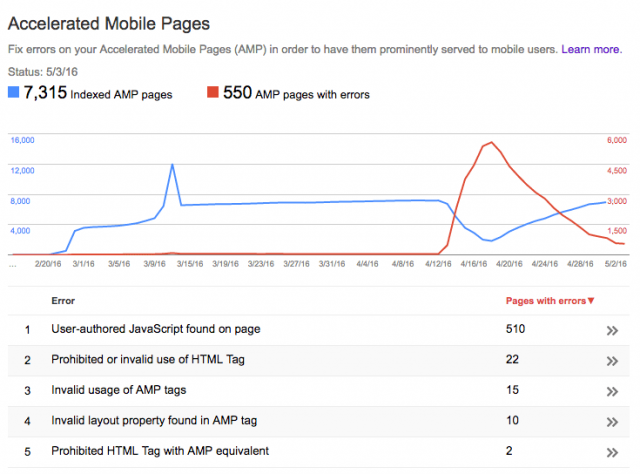 The AMP report came to the Google Search Console in January of this year. So this is the first big update to that report.